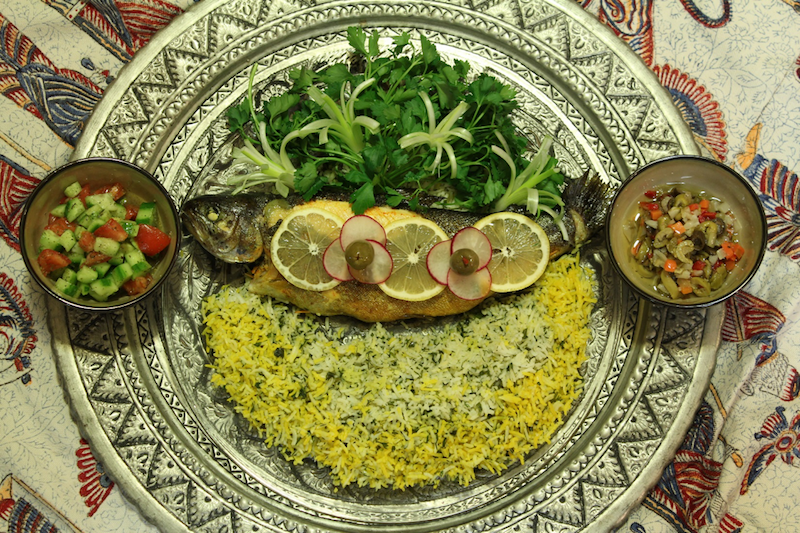 Due to ritual and tradition, Iranians eat Herb rice with rainbow trout at the New Year Eve. 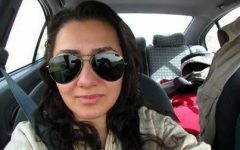 Azadeh tell us how to make this easy and delicious dish. Long before there was a bright-orange salmon fillets from Norway, or creamy-colored tender tilapias from China, I used to see a variety of fish at seafood stores in Tehran. The fish came from The Caspian Sea in the north, and Persian Gulf in the south. Despite its variety, the only fish I cared about was white fish and rainbow trout. My secret style was to season the rainbow trout with secret herbs and spices; deep-fry it; and serve it with Herb Patties and fragrant herb rice. 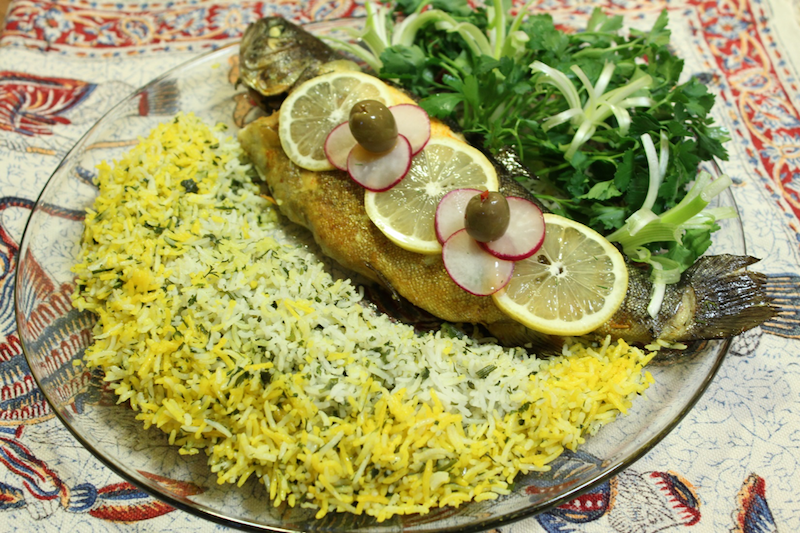 Although the gourmet seafood can be served at any time of the year, many Iranians (if they can) eat the rainbow trout at Nowruz night. 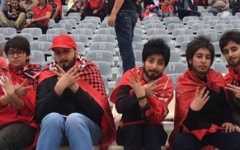 Nowruz is Iranian New Year when they celebrate the change of season from winter to spring. Nowruz has been celebrated for thousands of years in Iran, Afghanistan, Azerbaijan, Tajikistan, Albania, Kosovo, etc. 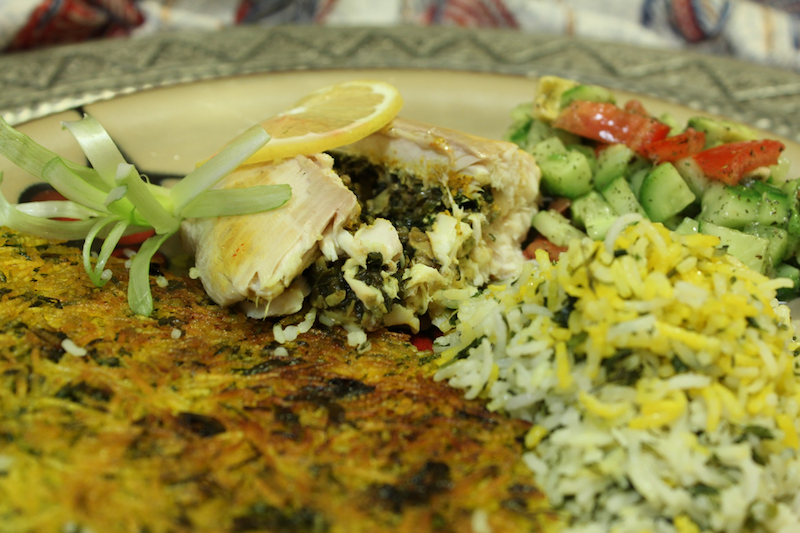 A tradition that is surrounded by many mythical justifications of eating sabzi-polo mahi (Herbed rice with fish) at Nowruz in Iran is like eating turkey and yam at the Thanksgivings night In the U.S.. 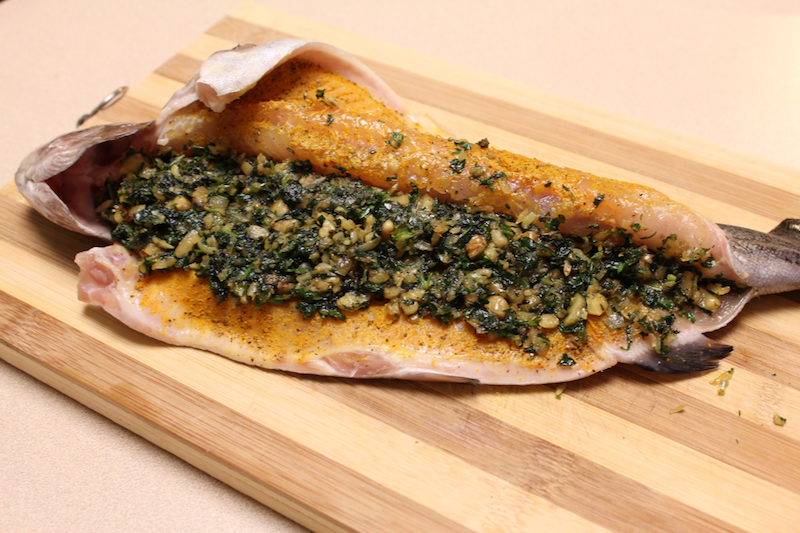 This Stuffed rainbow trout recipe is one of my favorite ones. 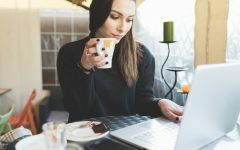 It is a little work involved to prepare the food. But I assure you the trouble worth a thousand and one times :D. Besides, the smell of the fragrant food in the air make your neighbors jealous of your art work. I promise. Summary: Today is Newruz. 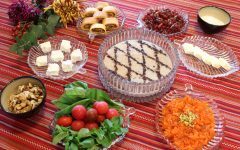 People in many countries, including Iran, celebrate Newruz. In Goltune, we celebrate it with a new recipe. Happy Newruz. 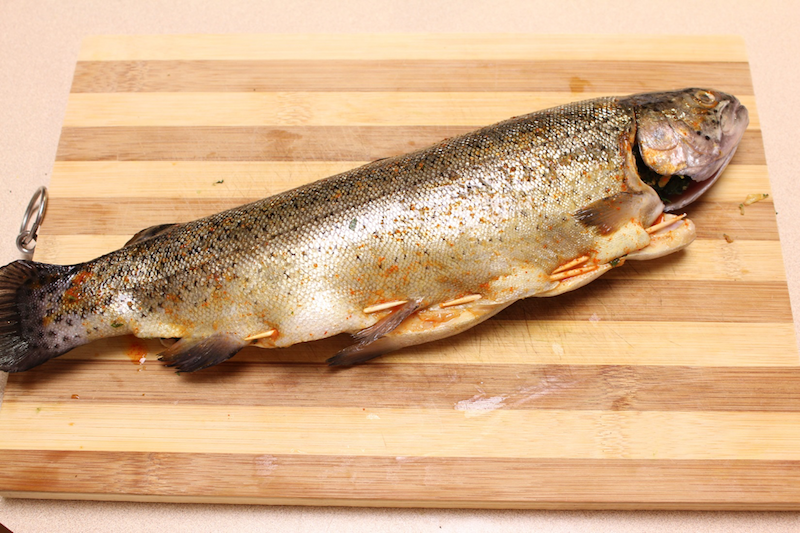 1- Wash the Rainbow trout under cold water to remove any slime or gut blood residue. (If the thought of the fish staring back at you is not appealing, you can remove the head.) Pat the fish completely dry with a paper towel. Set aside. 3- Meanwhile, heat 2 tablespoons of cooking oil in a shallow non-stick skillet. Add chopped onions and sauté for 3 minutes until they become light and translucent. Add chopped garlic and sauté for another 2 minutes. 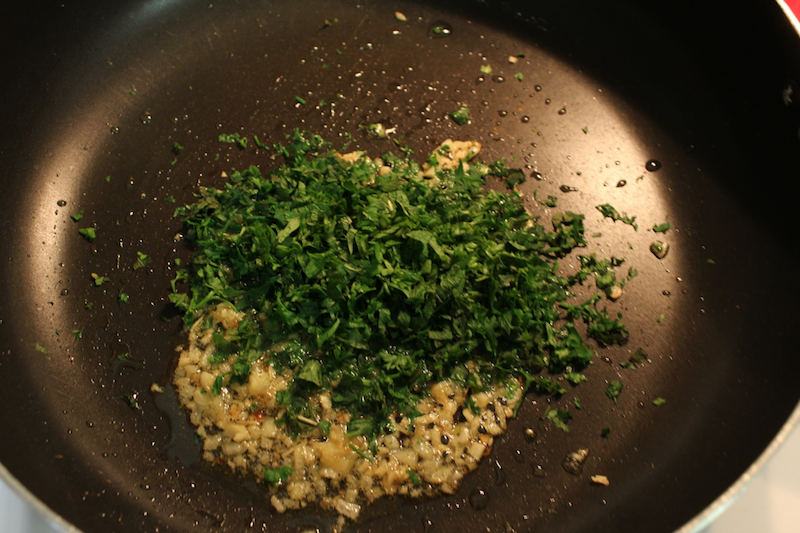 Then stir in chopped parsley, mint and walnuts. Sauté for 5 minutes. You can kick up the paste by adding some crushed red pepper flakes. Drizzle the paste with the juice of half a lemon. Remove from heat. 4- Spread the stuffing inside the trout. Leave some room on the edges to sew the fish with some cooking twines (I did not have cooking twines, so I used some toothpicks to secure the slit. It was hard to push them through the skin but they did the job anyway J). Then brush the outside of the trout with some liquid saffron. 5- In the same skillet, heat 2 tablespoons of oil over medium heat. Add the other half of onion, sliced, to the skillet, giving them a quick stir. Then arrange the trout on top of onions. Since the trout skin is coated with water-base saffron and the dripping can cause oil splatter, be extra cautious when transferring the trout to the skillet. Allow one side of the fish to sizzle for 5 minutes before turning it over. Add the juice of half the lemon and cover the lid. Lower heat and let it cook until all liquid is absorbed. It takes 15-20 minutes for a ½ pound (8 Oz.) trout to cook thoroughly. The trout can be prepared in the oven at 350 degrees. Grease a baking dish. 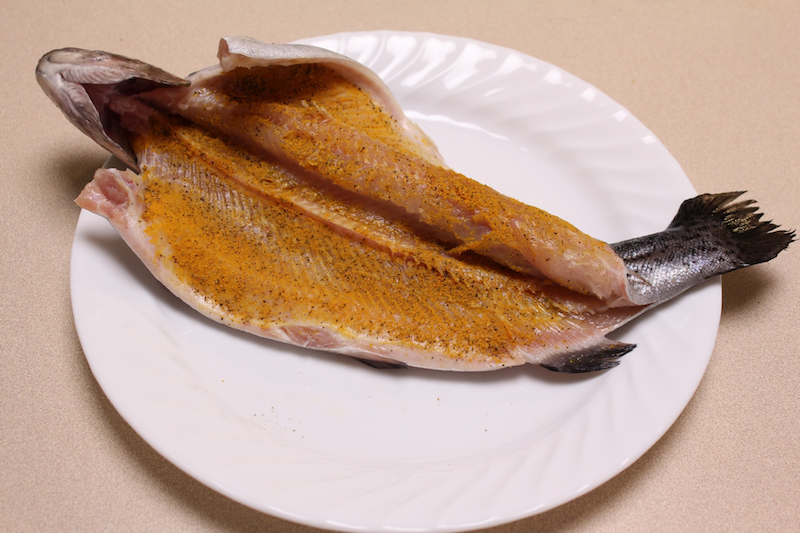 Mix oil and saffron and rub on the fish skin. Bake for 40-45 minutes uncovered on the middle rack of the oven. For a golden crispier top, turn up the broil briefly before taking the trout out of the oven. Serve hot on herbed rice pilaf with a side of cucumber salad and some muffuletta olive mix. 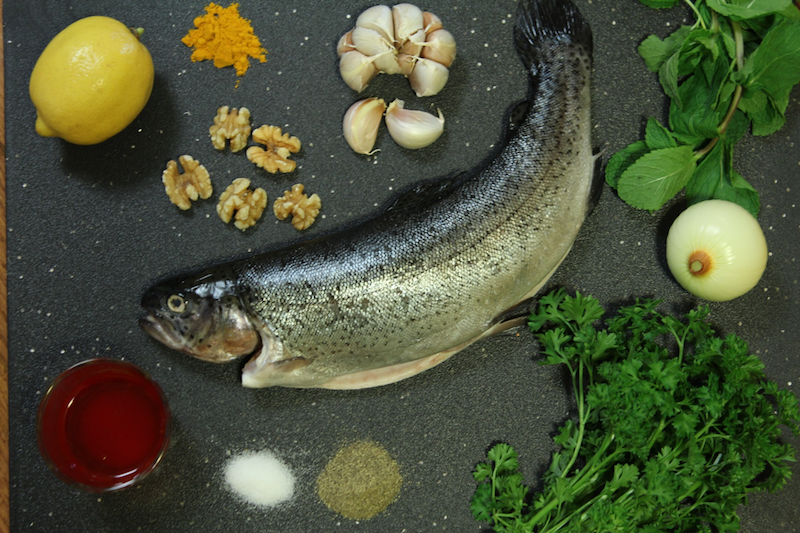 The Rainbow trout has a distinct taste that is escalated by the added stuffing. Even though the cooked fish bone detaches easily from the meat, beware of the individual pins hidden in the fish meat. And dont forget to drizzle more lemon juice on top. Noosh-e j?n!